LOS ANGELES, Nov. 17, 2016 /PRNewswire/ -- Airbnb today unveiled the most significant development in its eight year history as it moves beyond accommodation with the launch of Trips. Bringing together where you stay, what you do and the people you meet all in one place, Trips is a people-powered platform designed to make travel both easy and magical. Trips launches today with three key areas - Experiences, Places and Homes, with Flights and Services to be added in the future. Airbnb announces the launch of Trips- a people-powered platform designed to make travel both easy and magical. With Trips, Airbnb aims to make it easy with one app to book most of your travel needs. Airbnb Experiences are handcrafted activities designed and led by local experts. Trips will make travel magical again by immersing travelers in communities around the world. 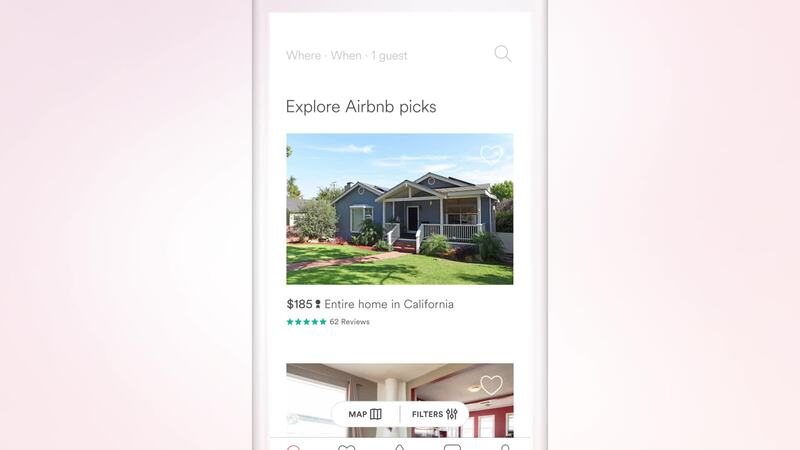 "Until now, Airbnb has been about homes," said Brian Chesky, Airbnb CEO. "Today, Airbnb is launching Trips, bringing together where you stay, what you do, and the people you meet all in one place. We want to make travel magical again by putting people back at the heart of every trip." Experiences are handcrafted activities designed and led by local experts - be it a single activity like a Samurai Swordplay workshop or an immersive multi-day experience like learning about and driving classic cars in Malibu. Experiences offer unprecedented access and deep insights into communities and places that you wouldn't otherwise come across, such as Truffle Hunting in Tuscany or the grime music scene in London. A number of Experiences will also be available where guests can give something back to communities through non-profit organizations. In Detroit for example, Khali Sweeney provides an opportunity to go behind-the-scenes at his Downtime Boxing Gym that provides local children with an after-school program of healthy snacks, homework time, and boxing lessons. As well as Insider Guidebooks, Places includes over one million individual recommendations worldwide from Airbnb's home hosts, recommending their favourite hidden gems in their neighborhoods, from cafes and restaurants to parks and other local attractions. A partnership with restaurant booking platform, Resy, will make it possible for people in future to book tables at great local restaurants directly through the Airbnb app. Booking travel today can be complicated and stressful. With Trips, Airbnb aims to make it easy with one app to book most of your travel needs. Trip Itinerary is a new feature that brings together everything the traveler needs to know into one simple timeline, with the ability to easily book and add Experiences or things to do. Over time, this capability will evolve based on machine learning to dynamically suggest personalized and contextual, i.e. based on location, recommendations during a Trip. Airbnb's vision is to ultimately cater for every aspect of a trip, making it both easy and magical from start to finish. The launch of Trips also sees the introduction of a new identity authentication process that the Airbnb Experiences Community will be using. Hosts and guests will be asked to scan an official government ID (for example a passport, or driving license) and then take a simple selfie. After the ID is authenticated, the ID and selfie will be reviewed to confirm that both pictures appear to match. Having a more robust standard of authenticating identity will make the Airbnb community stronger and reaffirms Airbnb's ongoing commitment to authenticity, reliability, and security. This new identity authentication step is required for all Experiences users, and is also currently being tested for homes bookings. Trips also leverages Airbnb's existing Trust & Safety measures including a 250+ person global 24/7 support team, secure payments, messaging, profiles & reviews, and a new $1 million liability insurance program for eligible Experience hosts. From today, people in the following cities can request to list their Experience on Trips: Amsterdam, Athens, Bangkok, Barcelona, Beirut, Berlin, Boston, Buenos Aires, Buffalo (NY), Cape Town, Cartagena, Chicago, Detroit, Dubai, Dublin, Florence, Harlem, Havana, Ho Chi Minh City, Lisbon, London, Los Angeles, Madrid, Mexico City, Miami, Moscow, Nairobi, Nashville, New Delhi, New Orleans, Oahu, Osaka, Paris, Portland, Prague, Provence, Queenstown, Reykjavik, Rio De Janeiro, Rome, San Francisco, Sao Paulo, Seattle, Seoul, Shanghai, Singapore, Sydney, Tel Aviv, Tokyo, Toronto, Vancouver.